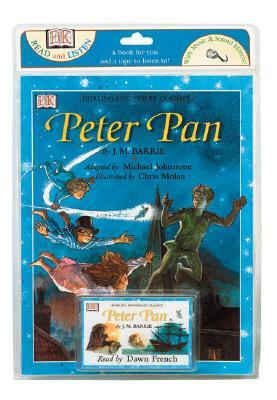 Peter Pan--the boy who never grew up--appeals to the child in us all; this edition of the story of Peter Pan includes a cassette tape Children love to listen to stories, and their favorite DK books are available in book and tape packages--perfect for the car, or anywhere! These timeless, classic stories have been gloriously illustrated and made accessible for younger children to read alone, or for all the family to enjoy together, as they listen along with the cassette tape. This fresh approach brings the stories and their characters to life. There are also special pages dedicated to background detail, setting the scene of each story.